We here at Visit Croatia will have a very tough evening of it tomorrow. (Not as hard as the two teams on the pitch…but close.) As evidenced by our website, we’re obviously based in the UK and are English. 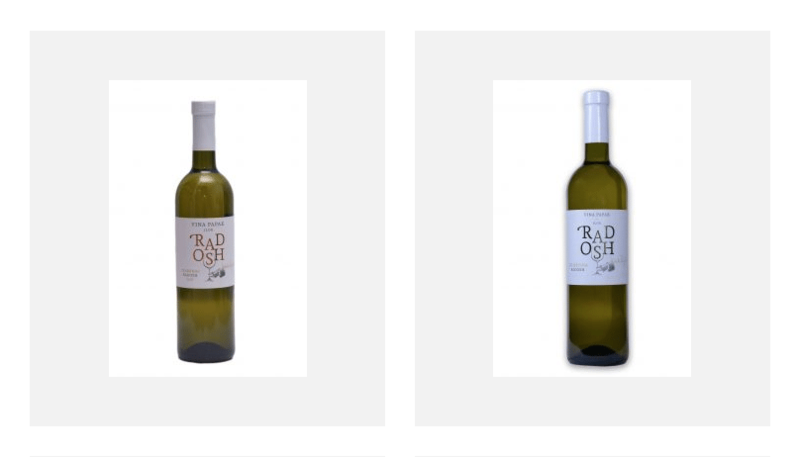 And as also evidenced by our website…we’re also Croatian! When the 2018 World Cup kicked off on 14th June, never in our wildest dreams would we think that one of our teams would make it to the semi-finals. To have both our teams make it is unbelievable. Two have both our teams make it and play each other is…oh, what? As a friend pointed out – “you’ll be the crazy person cheering everyone” during the match, which is very true! If Kane heads a chance just wide, we will be exclaiming “Argh!! NOOOO! !” or “HA HA!! YES!!”? If Pickford saves a long range shot from Modric, we will shout “What a shot! !” or “What a save!!”? Maybe we’ll just keep our mouth shut, sipping a cup of tea and/or sljivovica to calm our nerves. In the last World Cup in Brazil four years ago, neither team even made it out of the group stage. Croatia had a disappointing go of it, finishing third in their group (behind Brazil and Mexico), but at least winning one match (a 4-0 victory against Cameroon). England had an even worse time of it, ending up bottom of their group and getting only one point – thanks to a dismal 0-0 draw with Costa Rica. 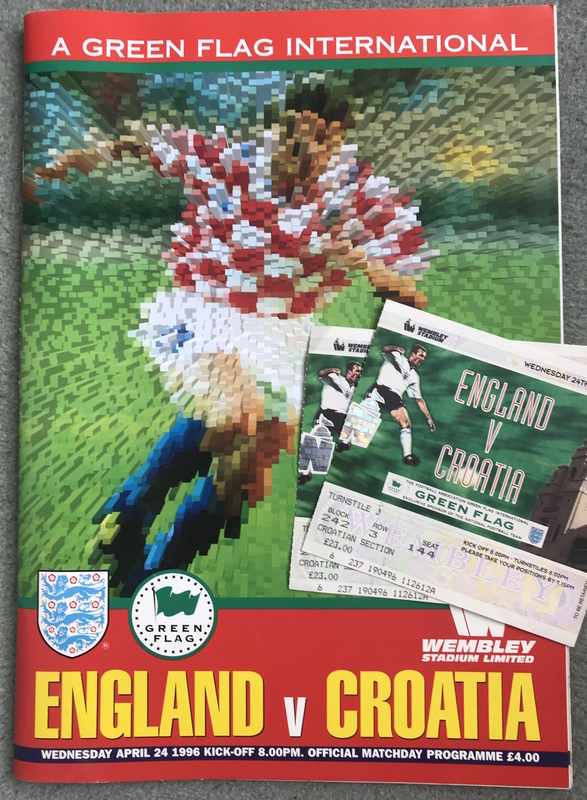 Croatia were last (and only) in a World Cup semi-final in 1998, when the ‘dream team’ made up of star players such as Davor Suker, Zvonimir Boban, Slaven Bilic, Igor Stimac, Robert Prosinecki and more ended up finishing an absolutely remarkable third. (Not forgetting a stunning 3-0 victory against Germany in the quarter finals along the way.) Davor Suker was even the Golden Boot winner of that World Cup. Funnily enough, if England had topped their group instead of losing to Romania in their last game – pushing them into second place – they actually would have played Croatia instead of Argentina. 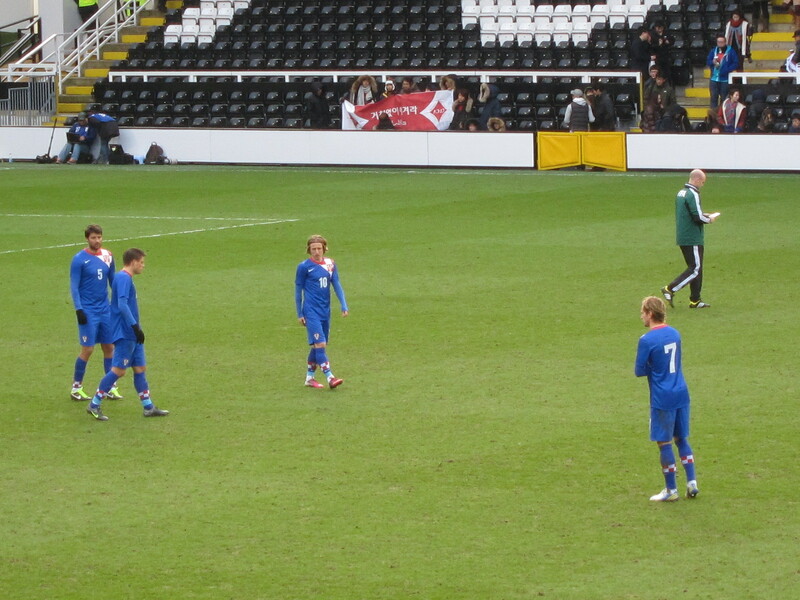 And not lost on penalties. And probably not had Beckham sent off either. The two countries have obviously played each other a number of times over the years, but no match has ever been as important as tomorrow’s game. The next closest was a game in the group stages of Euro 2004, when England won 4-2 and a teenage Wayne Rooney scored twice. There’s been plenty of other memorable moments, of course. Who can forget the ‘wally with a brolly’ Steve McLaren, sheltering under a huge umbrella at the side of a very soggy Wembley pitch in 2007 when Croatia unexpectedly beat England 3-2 – completely ruining their chances of qualifying for the Euros? And Jackie Charlton as ‘special guest’! All we can say is – may the best team win. This year’s British Croatian Society Annual Dinner will take place on 4th November at the wonderful Queen’s Club in West London. The private members club is the first multipurpose sports complex ever to be built anywhere in the world, and is situated in a both tranquil and charming setting. A drinks reception will be held from 6.30pm, followed by a dinner at 7.30pm. Dress code is lounge suit/smart casual. Tickets for the annual dinner cost £45 for members or £50 for non-members. If you’d like to book a ticket, please email britishcroatiansociety@gmail.com with your name and that of anyone else in your party. 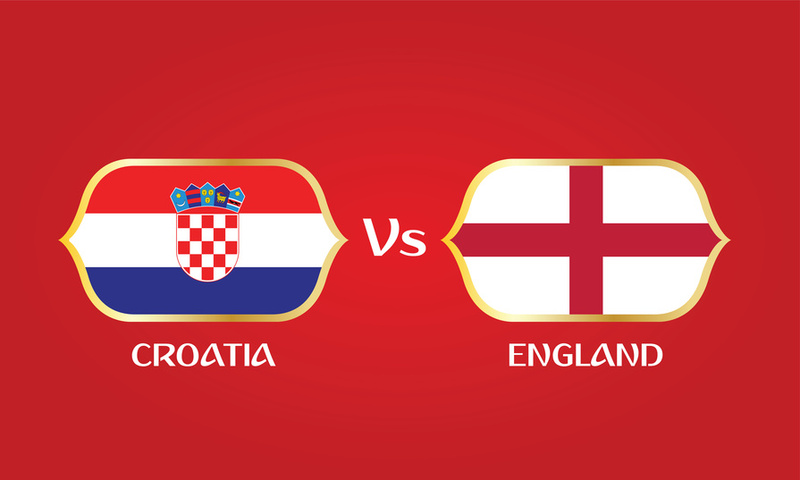 Payment for tickets can be made on the British Croatian Society website at www.britishcroatiansociety.com/events. The British Croatian Society hopes to see you at the dinner! The British Croatian Society will be hosting its Annual Dinner on Friday 13th November 2015 at the East India Club in London. This year, the dinner will be raising money for the London Supplementary School for Croatian children. The dinner costs £45 for members, £50 for non-members. Tickets can be purchased by emailing the Society directly on britishcroatiansociety@gmail.com and payment can be made online at www.britishcroatiansociety.com/events. A drinks reception will be held from 6.30pm, and dinner will be served at 7.30pm. Dress code – lounge suit. The East India Club is a private members club that has a long history of welcoming visitors from around the world. The British-Croatian Society Annual Dinner will take place in London on Friday 22nd November, with this year’s dinner returning to the wonderful venue of The Montague on The Gardens Hotel, following the success of the dinner there last year. After being welcomed with a glass of wine, attendees will enjoy a sumptuous three course dinner followed by petits fours and coffee, served in the The Montague’s Great Russell Suite. With the hotel holding such an excellent reputation for its food and service and located so centrally (close to the British Museum), there’s no doubt that this will be a delightful evening. Guest speaker at the dinner will be Josko Stella, Director of Tourism for the Split region, who will talk about new developments in tourism. The Croatian Ambassador to the UK, His Excellency Dr. Ivan Grdesic, will also be present. Tickets for the dinner cost £50. You can book places for the dinner by emailing britishcroatiansociety@gmail.com with the names of those attending. 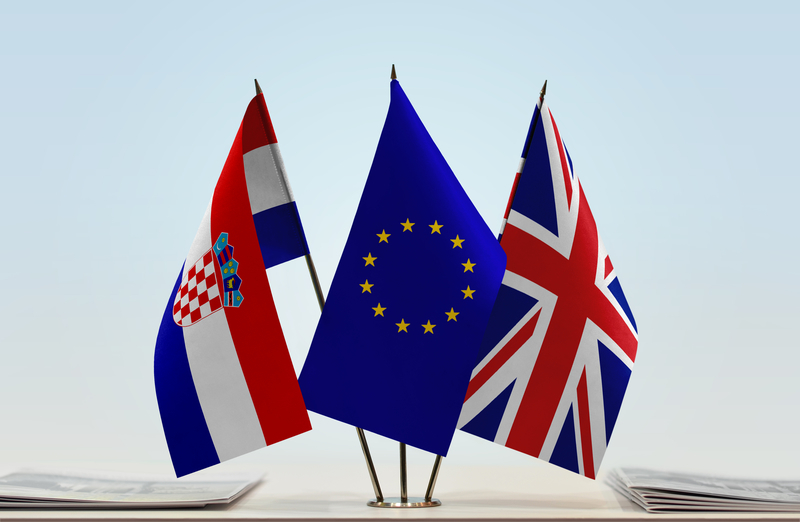 Please then visit the British-Croatian Society website’s Membership page where you can pay online via Paypal (click on AD £50). Alternatively, if you would prefer to pay by cheque, please see the payment details on the Society’s Events page. This is sure to be a very enjoyable night as one of the top events on the British-Croatian social calendar! 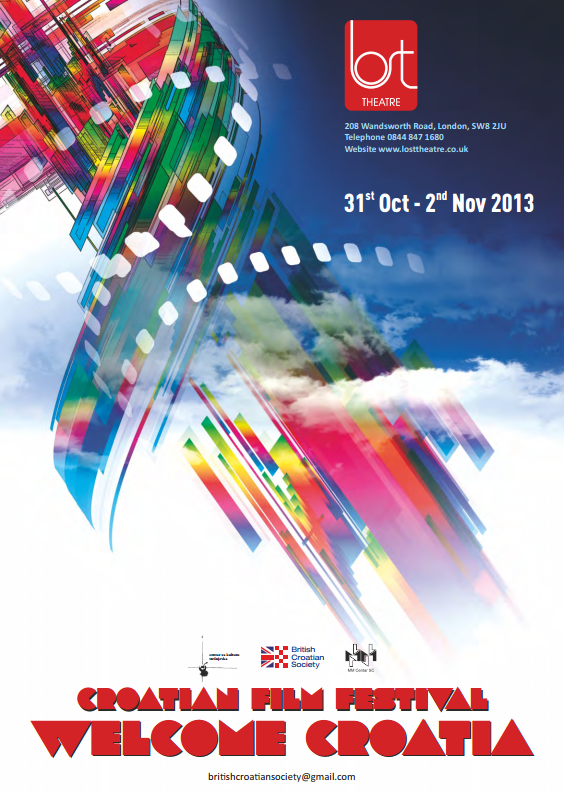 Starting tomorrow, there’s an exciting opportunity to see some Croatian films in London! The four-day Croatian Film Festival is being presented by the British-Croatian Society and the Croatian Audiovisual Centre and will take place at the Lost Theatre on Wandsworth Road, London SW8. 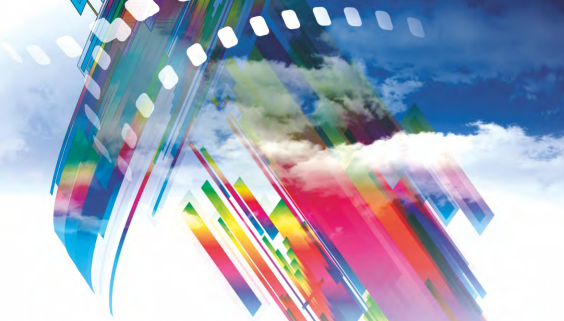 A diverse mix of subject matters will be presented through these films, featuring a combination of dramas and comedies, and many of the films shown have won multiple awards both in Croatia and internationally. Most will be feature films, although there will also be one short film shown. And – don’t worry, English-speaking friends! All films will be shown with English subtitles. The Croatian Film Festival will kick things off at 6pm on Thursday 31st October with a screening of Pismo ćaći (A Letter to My Dad), described as a drama-documentary hybrid that’s based on real events but structured like a live-action feature film. At 8pm the same day, the romantic comedy Sonja i bik (Sonja And The Bull) will be shown; Zagreb-girl and animal-rights activist Sonja challenges the Dalmatian countryside residents on their bullfighting…and they in turn, challenge her to stand in front of a bull. On Friday 1st November at 6pm, the comedy-drama Nije kraj (Will Not Stop There) will be screened, followed by the experimental short film From To at 8.30pm. At 8.45pm, it’s Neka ostane među nama (Just Between Us). On Saturday 2nd November at 5pm, it’s the turn of Lea & Darija – an inspiring and true coming-of-age tale of two thirteen year old girls who were dancing and acting stars in Zagreb on the eve of World War II. At 7pm on Saturday, it’s Ljudožder vegetarijanac (Cannibal Vegetarian), a medical crime thriller. At 9pm, Na putu (On The Path), the tale of a young Bosnian-Muslim couple, Luna and Amar, in post-war Sarajevo who have to deal with Amar’s increasing Muslim radicalisation. Zrinka Cvitesic, who plays Luna, was nominated for Best Actress at the 2010 European Film Awards for this role. More details on the films showing at the Croatian Film Festival in London can be found on the Lost Theatre website at www.losttheatre.co.uk/index.php/11-current-shows/200-croatian-film-festival-welcome-croatia where you can also book tickets for any of the screenings. 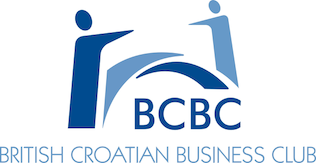 As part of the celebrations in the run up to Croatia’s accession to the EU on 1st July 2013, the British Croatia Business Club (BCBC) is hosting a couple of exciting events this week! On the 23rd & 24th May – this coming Thursday and Friday – they will be hosting a Croatian Products and Services Fair, which will be the perfect opportunity to sample and purchase Croatian food and drinks – whether that’s something you’re trying for the first time, or something you know and love well! This fair, the first of its kind in the UK, will see a number of well-known Croatian companies gather together to showcase their wares, with over thirty companies taking part. Well known names such as Croatia Airlines, Croata, Jamnica, Maraska, Paprenjak and Podravka will all be appearing, amongst many others. 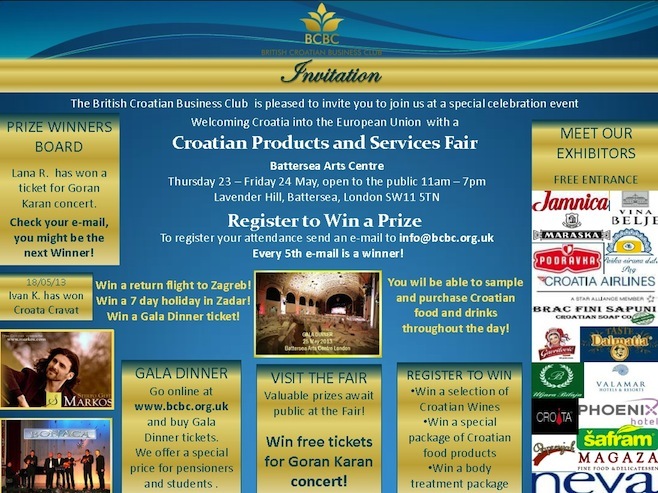 The Croatian Products and Services Fair will take place in the Battersea Arts Centre in south London, a wonderfully historic venue – built in 1893 – that’s been host to many important events over the years. The Fair will be open to the public from 11am to 7pm on both Thursday 23rd and Friday 24th, and entrance is free. Do register your attendance for the fair via info@bcbc.org.uk as every fifth entry will win a prize! 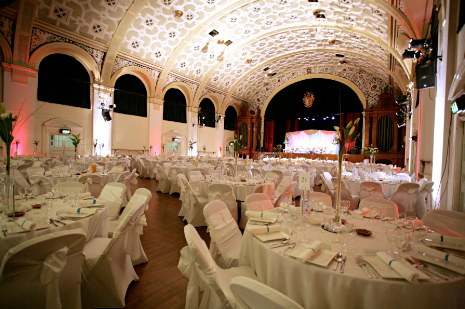 If you’d like to celebrate in some additional style and glamour, the BCBC is also hosting a wonderful Gala Dinner on Saturday 25th May, also at the Battersea Arts Centre. The four course dinner – a Croatian menu, of course, created by Croatian and British chefs – will be accompanied by a fine selection of Croatian wines. There will also be a full entertainment programme featuring both Croatian and British artists, as well as a raffle and auction with some exciting prizes – the proceeds of which will be going to the Croatian charity, Anima Caelestis. Popular TV personalities will introduce the evening, and a welcome speech of distinguished British and Croatian guests will also take place. Tickets cost £45 per person (£30 concessions), which includes the four course dinner and a limited selection of wine and soft drinks. There’s only a few tickets left, so do be quick to snap one up! They can be bought online via the BCBC website at www.bcbc.org.uk/fair.html. https://www.visit-croatia.co.uk/wp-content/uploads/2017/09/visit-croatia-logo5.jpg 0 0 annaz https://www.visit-croatia.co.uk/wp-content/uploads/2017/09/visit-croatia-logo5.jpg annaz2013-05-20 15:46:002018-03-07 11:51:06Croatian Fair & Gala Dinner in London this week! The last time Croatia played an international in London it was a truly memorable night (regardless of who you were rooting for) – there was a torrential downpour for much of the game; a wally with a brolly; a rude interpretation of the national anthem; and a highly surprising 3-2 victory for Croatia at Wembley against England, meaning Croatia topped their Euro 2008 qualifying group…and England finished third in the group, meaning they missed the tournament! 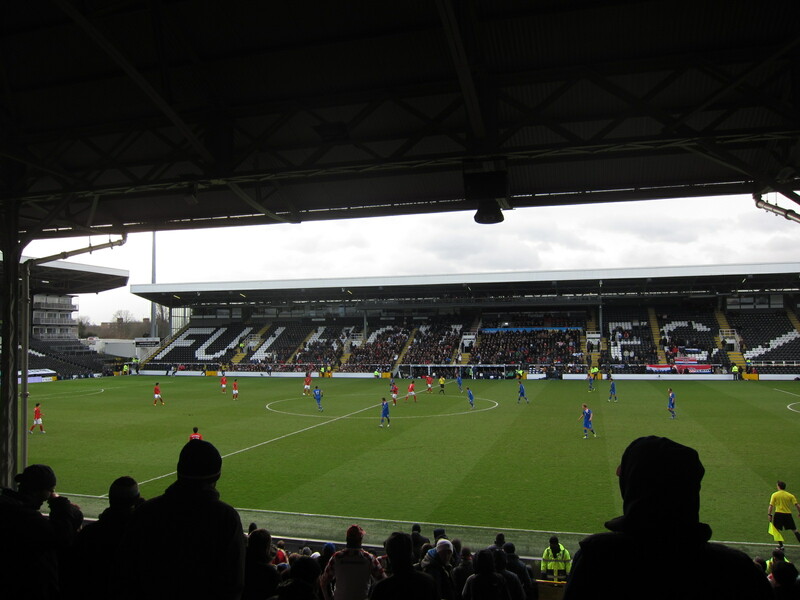 This time round, it was a much less dramatic affair, not least because it was a less pressurised match (a friendly) in a much more low-key setting (Fulham FC’s Craven Cottage – sorry if that offends any Fulham fans but really, wooden seats?) against weaker opposition (as the scoreline suggests). The 2pm kick-off was certainly unusual for a Wednesday afternoon, but I assume this may have been scheduled in this way for television in South Korea, where it would have been 11pm. 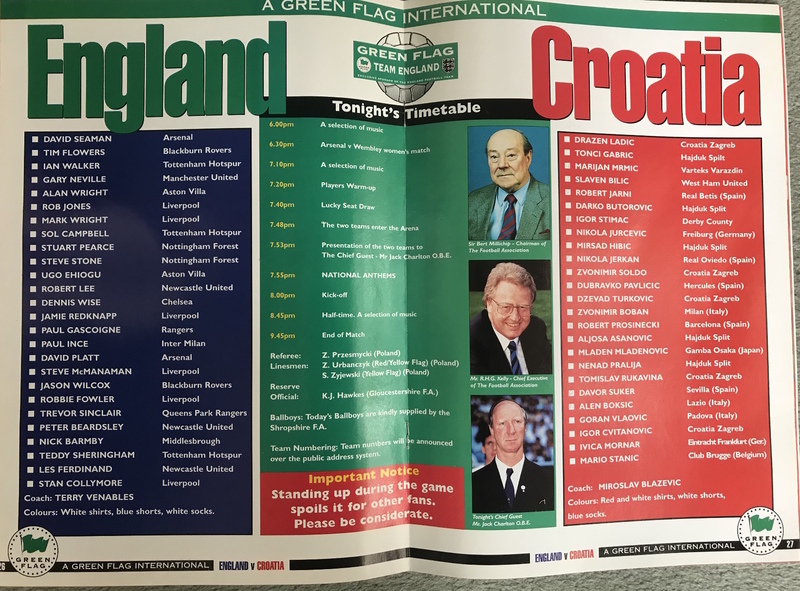 There must have only been a few thousand fans in the stadium, where only two stands were open – although different areas had been designated for South Korean and Croatian fans. In fact, I don’t believe there was any “neutral” seating, so I did hear a number of English voices (without any hint of an accent!) sitting in the Croatian side. 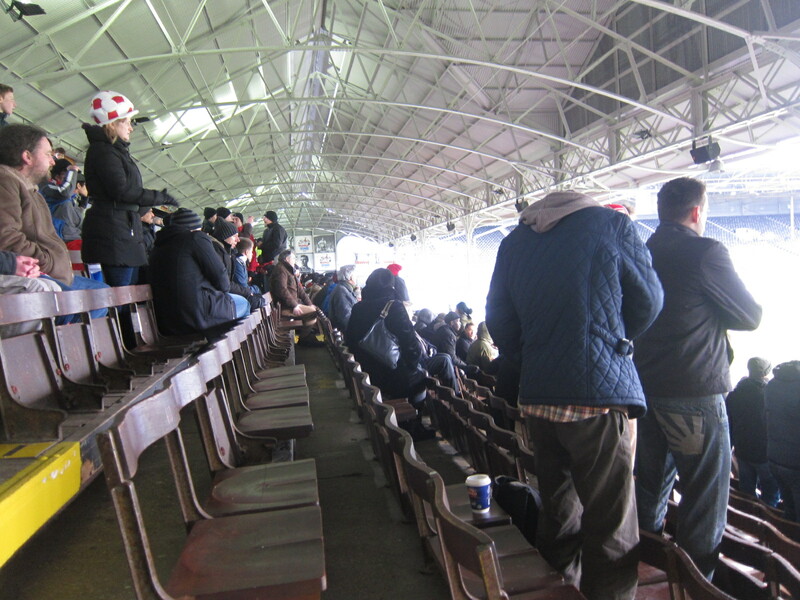 The South Korean fans – which, to me, seemed mainly to be young students (there must be plenty of them in London and I suppose who else would be free on a Wednesday afternoon?!) 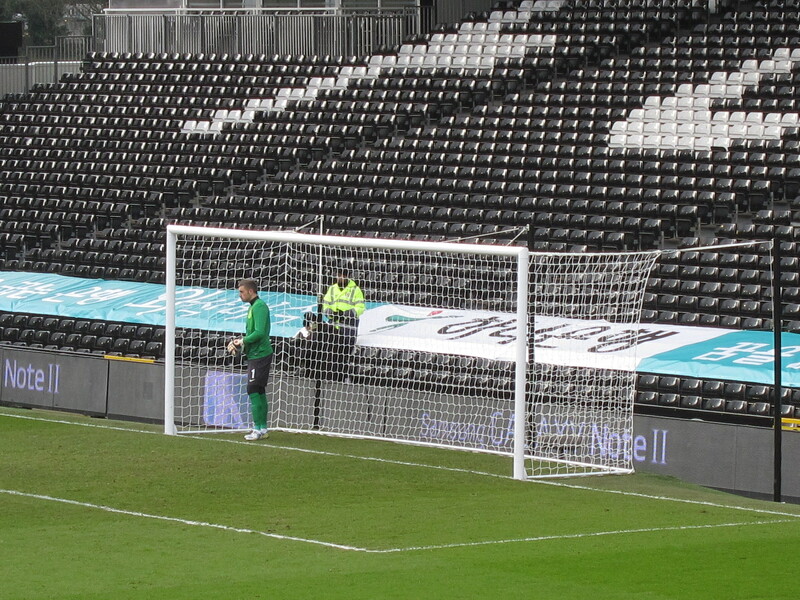 – had brought plenty of home-made banners and signs to wave about at their players. I’m sure I’m not the only one to remark on this – now or before – but the South Korean fans also tend to scream during the match in a very high-pitched fashion when their team advances forward or they do anything remotely exciting…it’s almost like they’re at a pop concert! It’s definitely unusual for a football match where you’re generally expecting to hear loud, manly chanting most of the time – but it’s actually rather endearing. The Croatian fans brought their usual collection of red-and-white checkered clothing and memorabilia – hats, scarfs, baseball caps, waterpolo caps (really – hey, we’re Olympian champions!) as well as plenty of flags…and yes, they participated in loud, manly chanting. The match itself turned into a rather one-sided affair after the initial stages, with Croatia largely coasting through much of it. 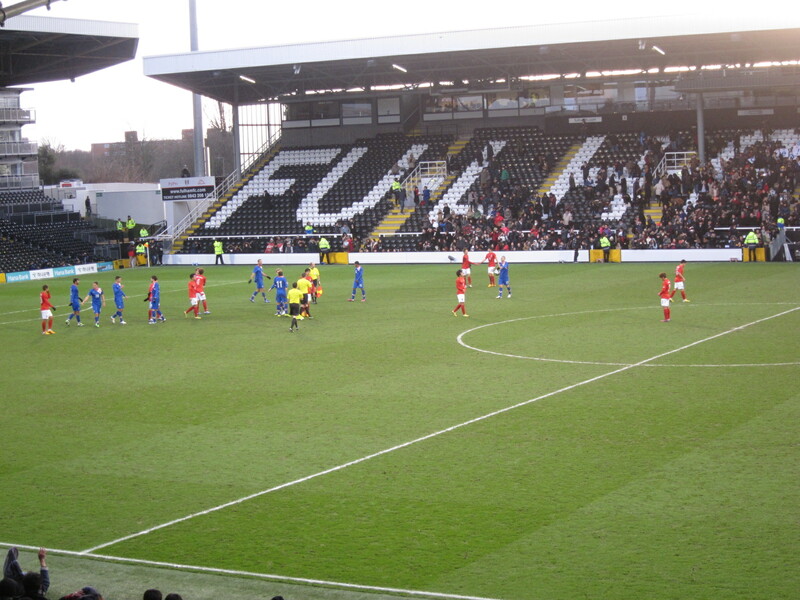 Certainly the 4-0 scoreline – and being able to see the top stars – made it worth attending the game despite the freezing conditions (although nothing that a cup of Bovril didn’t fix). The match also marked the hundredth appearance for Croatia for a trio of their players – Darijo Srna, Josip Simunic and Stipe Pletikosa. Scorers for Croatia were Mario Mandzukic (32 min); Darijo Srna (38 min); Everton’s Nikica Jelavic (58 min); and “home-boy” (i.e. 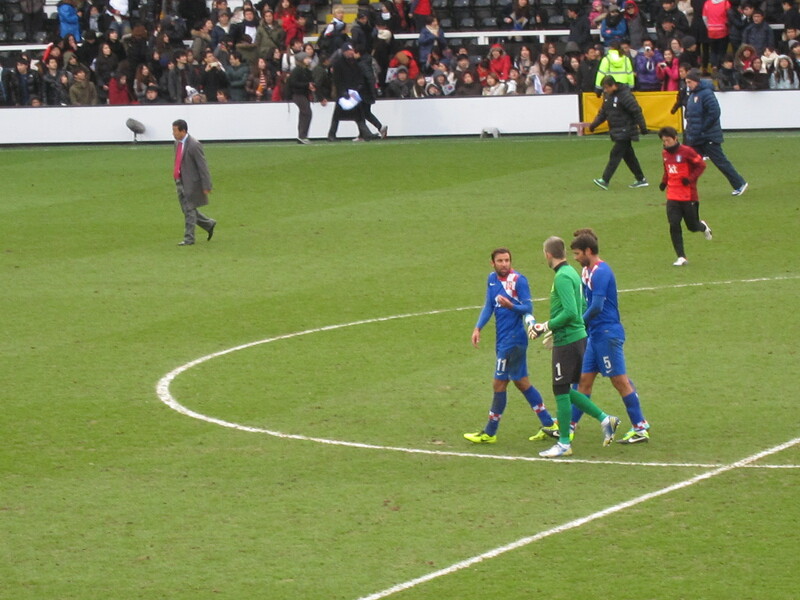 Fulham player) Mladen Petric (85 min). Modric points AND runs with the ball – that’s skill!